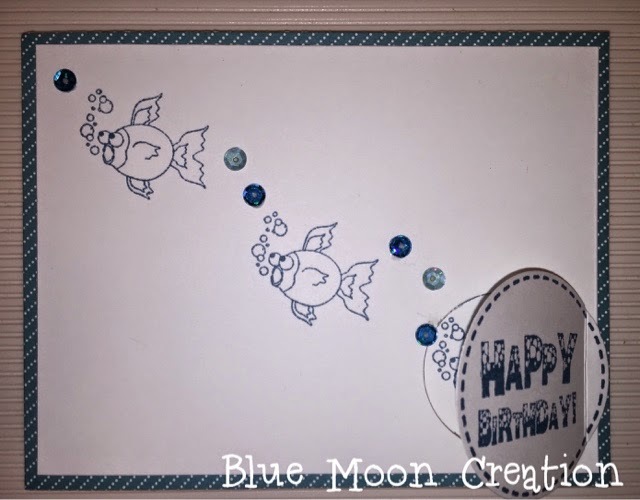 It appears as though an envelope punch board was used to create an envelope but instead, you use it as the base of your card. I’ve seen cards like this before of the square type for wedding invites…never thought of doing it with my punch board like this until now. Happy Crafting friends! I am in love with the Trace and Cut on my Cameo Silhouette. 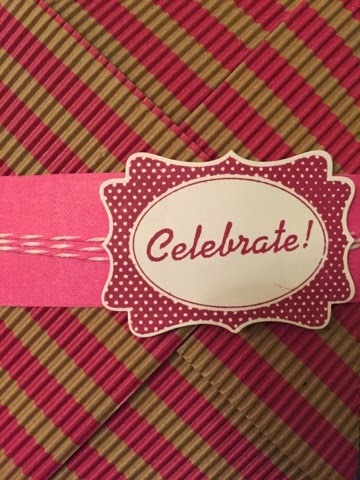 The stamps I used were from Close to My Heart (Curlicue Alphabet Birthday stamp sets from the Artfully Sent and Artiste Cricut Collections) I really like how this came together and I pop dotted the Happy Birthday Banner. Well, I am off to cut The Riddler’s Question Mark now. Thanks for stopping by and I hope to see you soon. Until next time…..
Hi everyone , It’s Shawnee from the Crafty Card Gallery Design Team here with a fun birthday card for you for a teenager. Recently my oldest son just turned 18. He gave me a challenge in making his card this year as he wanted a few things. But I know this card put a smile on his face as he really wanted a guitar for his birthday. The stamps for this card are from CardzTV Stamps – Just Saying and Good Times stamp sets. 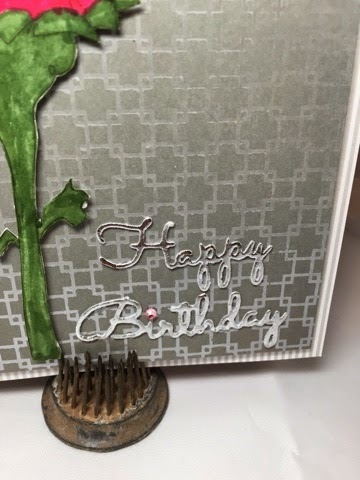 I made this card with my Cricut Explore which was so much fun to use. 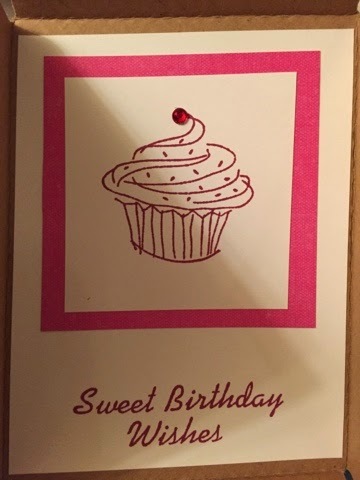 I hope you have enjoyed this fun and easy birthday card. And that you will stay tuned as the rest of the Design Team has some fabulous birthday creations for you!! Hi! It’s Jennifer. So I haven’t been doing much crafting lately – despite being inspired by all the cool stuff at CHA. 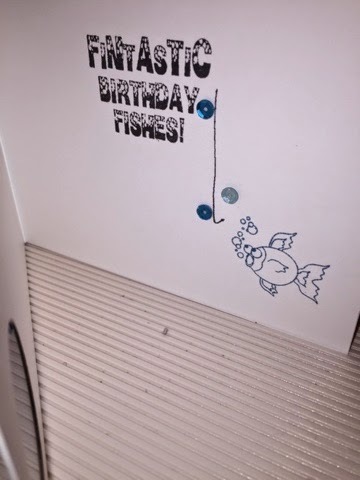 Some cool stuff came so I got to play a little when I made my mom’s birthday card…. So then I took some of the thermoweb adhesive and cut it out with my big shot. I then added foil and attached to the card. 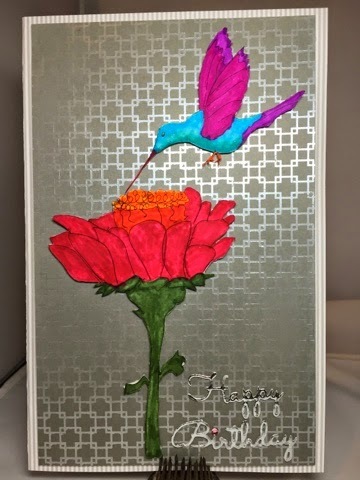 I went with a understated background so that it would draw attention to the hummingbird and flower.